The rise in consumer interest in the provenance of their food driven by food scares and a desire to understand what we are feeding our children is possibly going to become more polarised into ‘cost conscious’ and ‘food conscious’ consumers. The rise of retail mergers may mean ‘provenance’ becomes a key point of difference for certain retailers. Retail is changing, Sainsbury and ASDA merging is part of a major shake up in food retail similar to that of the UKs retail banking industry back in the 70s and 80s . The large retail multiples only tend to merge when they run out of ideas to grow their market share organically. The merging of the banks led to the disappearance of many high street names…first in the banks like Midland, Coutts, Williams & Glyns and later the disappearance of many Building Society Names through to Bradford & Bingley. It was not all closures…there was the appearance of new international players like HSBC and Santander and new startups like Virgin and online solutions …First Direct. The merger of Sainsbury and ASDA may in some part be to new alliances of other food retailers, specifically Tesco’s merger with Booker which effectively brings many local high street names under one banner (One Stop, Budgens, Londis , Family Shopper and Premier will all be supplied by the new group); the Coops takeover of NISA brings the Costcutter and NISA brand into the Coops supply chain and Morrisons developing relationship with Amazon. Large mergers are generally made to cut costs which usually means simplifying the supply chain. 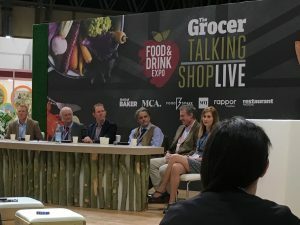 The discounters (Aldi and Lidl) simplify the chain by limiting choice this allows them to support provenance at a national level (allowing Lidl to promote Scottish Food), Tesco has tended to simplify its supply chain by cutting suppliers and reducing opportunities to celebrate provenance. Morrisons and the Coop both celebrate provenance at a local and regional level using this as a key point of difference. It will be interesting to see where the focus of the new Sainsbury/ASDA group lies (reduction in suppliers or focus on regional/local provenance). The choice may well depend on the focus of us as consumers and interestingly last month saw the launch of Happerley an organisation focused on promoting genuine food provenance. If you have a genuine desire to see the growth of your local food industry we would suggest you check Happerley out, it was officially launched at the Farm Shop & Deli Show in April with support from amongst others Adam Henson (BBC Countryfile) Peter Jinman (Head of DEFRA Animal Welfare) & Philip Pononby (CEO Mid-Counties Co-operative) and if this works it has the chance to change the attitude of the food supply chain in the UK for ever. Food provenance should not just be about supporting trendy/exclusive local food it should be about creating a genuine food supply for all that is focused on its area and genuinely supports a local/regional taste for our local high street food offering. Set up to bid for national funds and distribute these funds across the Borderlands area into capital projects. These should “encourage sustainable growth for the benefit of business and the local community”. “Aims are connectivity, growth of sectors (tourism, farming and energy) and deal with population decline (especially in the youth). Do this by collecting the perspectives of local people and businesses.” This will allow us to realise the potential we have. ““Once in a generation” opportunity for change” . As mentioned on the day “businesses who don’t shout don’t get” and “we (public sector) must put up or shut up”. A desire to create a “system that removes barriers to growth” and then “encourage distributive transformation”. “Try not to focus solely on the traditional sectors connected with rural areas (tourism, farming and energy)”. Remember that nowadays there is a “huge amount of crossover in sectors” . So for example “Food is absolutely a key” because in this region it moves from production to wholesale to retail to hospitality and marketing and covers all business size and ambition. Another sector with cross cutting themes would be cycling that straddles the border from the Lakes to the 7 Stanes and all the road routes in the region. 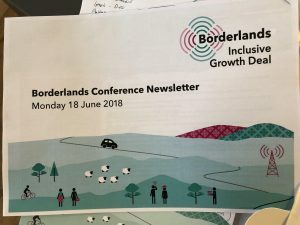 Borderlands will be “the first area focused development solution as opposed to a city focused solution.” This means “positivity is key” and the work in Borderlands should “influence a fundamental national review of the planning regime” and “legislation must support the changing needs of communities”. Well if that was January, 2018 is going to be REAL exciting! The place in which we live is always changing and with it brings new and exciting opportunities. We want to collaborate with as many people as possible to help make our place even better and this January just highlights the great teams that are willing to be involved. This is both in creating a new Guild building for co-workers in Carlisle and building our company Thomas Jardine & Co that looks to support our great family businesses and food businesses. So, late last year we bought the old Guild building on Abbey Street and we were fortunate enough to be introduced to Les Harding by Chris and Malcolm from Black Box Architects. Les is a miracle worker and his network is helping us breathe new life into the Guild. In the Guild we were also lucky enough to have a chance conversation with Ben from A.B.Energy who is now covering all our heating and electrical needs. The build is taking shape and we are hoping to have it ready for a soft launch at the end of March…watch this space. Through Thomas Jardine and Co we have been fortunate enough to have serious conversations with a number of large and small food producers, listening to their plans and helping them focus on the future they want to see. This has led to a number of new entries on our food map and the creation of a calendar that highlights key events for foodies both in the area and nationally. We have also submitted written evidence on the importance of the cross-border food sector to the Scottish Parliaments Rural Economy and Connectivity Committee, as well as conducting our own survey of local food producers’ confidence for 2018. We are working with Lancaster University to help deliver their Productivity through People Project and are also looking at a joint project with them in Donegal…more on this next month. Jacqui is also on the judging panel for the Cumbrian Family Business Awards and is working with Sue Howorth (Family Business Network) and Armstrong Watson & Co on their ‘Let’s talk About it” family business series. Sue and Jacqui are also working on a new family business project that could be really exciting. Jacqui recently attended a Cumbria LEP meeting in behalf of the NW Institute of Directors and just before Christmas attended a review of research into Family Business, with Prof Carole Howorth from the University of York and Michael Bibby of Bibbys. Busyish month with lots of catching up with old friends and starting up relationships with new businesses…this is a wonderful place to do business, let’s make it even better. What will 2018 bring you and your place? What can we do about it? We are still part of a United Kingdom but no longer part of a united Europe. Does this mean places across the UK will become more insular with neighbouring towns high streets competing for each other footfall or will regional towns collaborate to promote their place in order to attract more visitors to the areas collective high streets? Will Brexit empty our high street of EU workers or will our high street service providers adapt their business model to match whatever falls out of the Brexit agreement? Will the pound fall and attract more foreign tourists to our high street or will the pound fall and reduce consumer spending on our high street? With the coming of high speed rail links, will the rest of the UK start planning to become a commuter belt for London or will all of the London entrepreneurs relocate and only visit the capital when absolutely necessary? 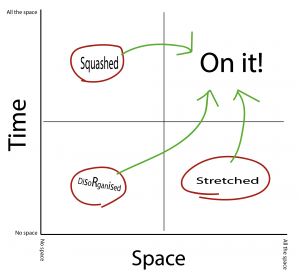 I hope that you agree that as leaders of place you can only change what you can the rest falls into the ‘out of your control’ or ‘what will be will be’ box. towns/cities…the choice there is yours. We probably can’t effect general migration movements in and out of the UK but we can support the local networks that create new business models suited to our place. We can’t effect the value of the pound but we can support our own high street with our own spending habits …if we don’t spend in our own place then the businesses (large or small) there won’t survive…again the choice is ours. New businesses set up in areas that most match their needs which include been close to market (physical or online), suitable staff, premises, connectivity and quality of life. If your place can create the right offer, then it will attract new business. Whatever we choose to do will make a difference. Individually, we can only really change our own place BUT if we all do that then we will change the whole country. Here’s to 2018. 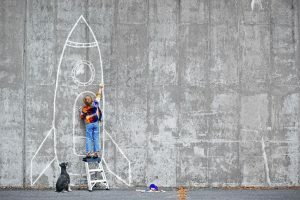 We’ve been out and about recently talking to Family Businesses of all size and age – the common theme is that they are really focused and tend to quietly get on with doing really good stuff. If asked ‘do you celebrate being a Family Business’? The answer is usually NO – that’s not what we do, it wouldn’t seem appropriate to ‘flag wave’’. Well let me tell you family businesses are essential to Local, Regional and National economies…. 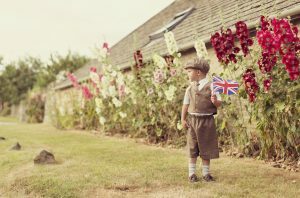 let’s have a look at some of those UK Family Business Facts and Stats……. courtesy of the IFB and Oxford Economics. The vast majority of businesses in the UK are family run … In 2015 there were 7 million in the UK, (UP 3% on 2014). They make up 87% of all private sector businesses in the UK. Small family businesses dominate, comprising more than 97% of the total. Family businesses employed 2 million people in 2015. They provide 36 per cent of the UK’s jobs and close to half of the jobs in the private sector. Family businesses earned £1.4 trillion in 2015, UP 6% from 2014. Family-run businesses’ gross value added was £43 billion, UP 10% on the previous year, driven by increases in activity in real estate, professional and business services, wholesale and retail. Some 52% of the contribution of family businesses to UK GDP in 2015 was made by firms with fewer than 10 employees. Family businesses collected or paid nearly £133 billion to the Exchequer in 2015, including corporation tax, business rates, employee and employer national insurance contributions, and income taxes. 6% HIGHER than the previous year. Family businesses are individually BRILLIANT and collectively AWESOME, so if you ever thought you had no flag to wave think again! Whether your 1, 10, 40 or 150 years old, they are all key milestone’s and you will have positively impacted many people along the way, your customers, your suppliers, your fabulous teams – so why not celebrate. Take a look at Family Business conferences and Awards in your region – attend the Cumbrian Family Business Conference open to all Family Businesses not just Cumbria! 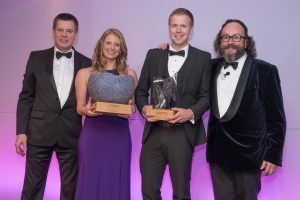 Enter regional and national awards such as the Cumbria Family Business Awards. Go on it’s time to wave the Family Business Flag! If you’re planning a celebration, we’d love to come! Only in Cumbria can you get a group of businesses together who walk through a ‘light shower’ to get on a boat, dressed in frocks and suits! But hey, we live in and around a newly formed World Heritage site and boy how lucky are we to live and work on the edge in one of the worlds most beautiful areas. This was our first IoD event, jointly organised with the Cumbria Family Business Network and we were truly impressed with the light touch organisation that just allowed us to talk to each other at the wonderful, Family run Waterhead Hotel in Ambleside, part of a brilliant Family operated hotel group. The noise level in the Cumbria Tourisms hotel of the year 2016 gradually rose as old and new acquaintances and friends caught up with each other. Then boarding the Windermere Cruises boat just confirmed why we have finally been confirmed World Heritage Status, there cannot be many places with better scenery than that which surrounds Lake Windermere. This sentiment was echoed by our keynote speaker, Kevin Roberts, who with a choice of houses across the world haschosen Grasmere as his UK base and is also his choice for his wedding! 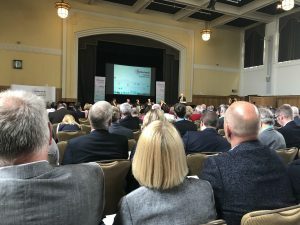 Kevin, I have to say, is a great speaker, he highlighted Cumbria as the ideal location for innovation as it is far enough from London to allow free thinking and creativity (a sentiment we completely agree with). Likening us to his other favourite haunt in New Zealand with both areas destined to change the world from the edge – think of New Zealand’s world beating All Blacks or Cumbria’s world beating Food, both from a geographical edge and both world beaters. Quick apology to Kevin for thinking his rattle snake was a sheep…we don’t get many snakes in Cumbria – long story! So what were our takeaways from Kevin? 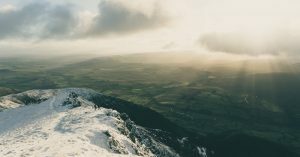 Cumbrian businesses should create and innovate as we are on the edge – geographically speaking! With edge creativity we can ‘win the world’ – our region must be innovative and creative because of our brilliant geography. He commented we are over managed in the UK which is blocking creativity and Cumbria has the opportunity to inspire NOT command and control. He said, leaders don’t get things done, they make things happen – agreed! Leaders create other leaders – so true for generational family business – he said we must create leaders across generations – agreed! 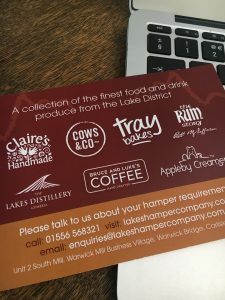 Only in Cumbria would this world renowned speaker be presented with a locally produced food hamper as a wedding gift…truly a sign that Cumbrian businesses collectively recognise the uniqueness and quality of the food we produce. 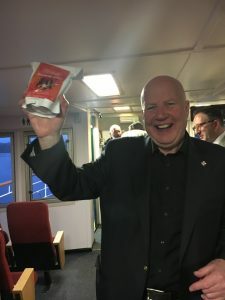 With that in mind the cruise was really helped by the provision of an awesome Cumbrian buffet who proudly offered their very own roast ham and Cumberland sausage. After dinner had lots of useful conversations, including one with Spencer and Diane from Herdy its only when you start talking about what you want to do that you really start knowing what you are offering to the world. The whole night made us think that business has always been about “Getting your message out.” which is an acquired art, BUT jumping back into business is just like riding a bike…you think you remember it all and then you hit a bump, fall off graze your knee and get back on again…the secret is just to keep in getting back on the bike more times than you fall off it. As Kevin said entrepreneurs and leaders build fast, fail fast and learn fast. We have always worked with family food businesses, but then most of the country can claim some connection with family food business from being part of its supply chain to being a consumer of their great products. Our journey starts some time ago when we joined Jacqui’s family business (4th generation), there for twenty years we saw exponential growth in sales, profits and people – we were most proud of the fact that we were acknowledged as one of the best retail outlets in the country…it was recognition not profit that drove us. We sold the business (a family decision rather than a business one) and have spent ten years honing our skills in supporting family business – everything from Retail Vice Chair of the £3.2bn National Guild of SPAR, Head of Family Business Engagement at Lancaster Uni, Vice Chair of Carlisle Food City, Advisory Board Member for Revive and Thrive, Chair of the Industry Advisory board for the FSA, Judge for the Guild of Fine Food Awards and experts in Family Business and Food Supply Chain. 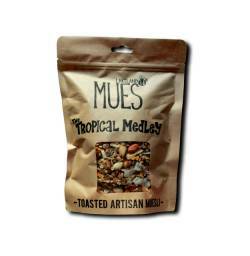 Then a few years ago our son started his business journey as a coffee shop owner and coffee roaster. Supporting him on his journey we realised there was no “go to” group that could support the unique situation that is created when family and food business is combined. We aim to change this. In 2016, working with Carlisle Food City we created a food map based on Google Maps…basic but it got the message out that there were many food business in the area. This interest gained support from the University of Cumbria and working with Ivention and Carlisle City Council we launched the Local Food Show in 2017. We have now, with a great deal of help from Sparrow Digital, upgraded our map and are launching a website that we hope will act as a catalyst to focus support for Family food business. We are working on literally ‘putting OUR money where OUR mouth is’ and are acquiring a BUILDING to house a Local Food Producer, those wonderful desk based businesses who can add so much value to the food sector, as well as a Centre for Family Food Business – a HUB in the making! 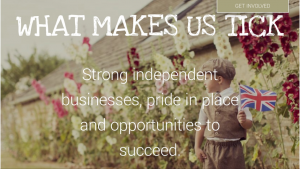 As Thomas Jardine & Co we will offer practical support to Family food businesses from Mentoring to Peer Groups to 360 degree views of their business and bespoke consultancy. Family food businesses have a significant impact on the place in which they are based, from pure economic impact to creating a unique taste of that place. Family businesses account for a quarter of UK GDP and 20% of UK Government Revenue. We reckon on the latest figures there were 3,975  people employed in Cumbria’s small and medium family food and drink manufacturing businesses, or 2.3% of the total work force and this doesn’t include those employed in larger food businesses (640  employees at United Biscuits in Carlisle which is of course a family owned business). We don’t really want to bore you with too many facts and stats, but suffice to say YOU (Family food businesses) are BIG and CLEVER. If you want to join us on our journey contact us at [email protected] and checkout our new website, let us know what you think. Let’s start some noise @thomasjardineco #familyfoodbiz. 72% of all SME are family owned (BEIS, 2016 Longitudinal Business Survey year 2) 97.5% off all employment in Cumbria was in SMEs (UK Business counts) 5,500 people employed in manufacturing of food and drink in Cumbria (Business Register & Employment Survey) so 72% * 97.5%* 5,500 = 3,975.